Ramez Azar, is a Financial Management and accounting Specialist with more than 12 years of experience. He started working with the Palestinian Medical Relief Society PMRS in 2006 as a project accountant for several donors, he then joined DAI in 2009 and worked on USAID projects. At present, he serves as the Financial Management Specialist of the Finance for Jobs project -F4J. His expertise covers wide areas in Project Financial Management, Bank Management, Budgeting, Taxation, and many other related areas. 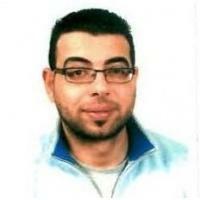 Ramez has a BA in Banking and Financial Sciences from Birziet University.